Babysitting is a great way to earn money this summer. Especially if you love kids and are very patient. This summer I started to babysit again and I have learned about all the types of kids and their antics. Like the child who cries as soon as the parent leaves, or the sneaky child, or the one who just can’t sit still. I have learned a few tricks throughout the years with two younger brothers and in the babysitting world. One of the tricks is to always have a bag filled with stuff that fits the age and gender of the child. However, don’t ever show up to a babysitting job empty handed, always have a babysitting bag handy. So what do you put inside a babysitting bag? 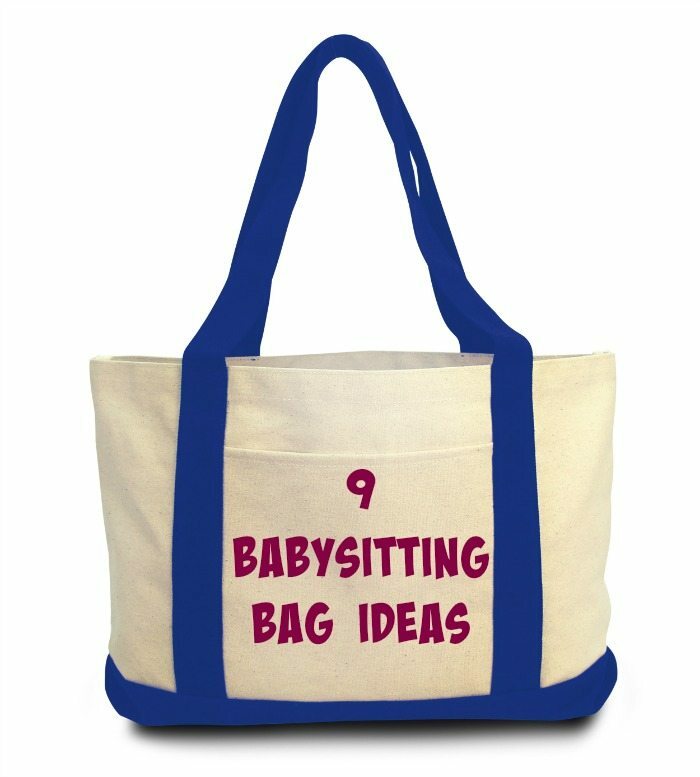 I am sharing My top 9 items I recommend to throw in your babysitter activity bag. Pens and Paper– Coloring is always an easy activity and so be prepared and bring some necessary tools. Coloring Books– Again with the whole coloring idea, sometimes the books spice the regular coloring up and helps keep the kids occupied longer. Books– Old childhood favorites are always a hit. Also reading helps the kids get put to bed. Cell Phone– You don’t know if the family has a landline or not, so its always a good idea to bring your phone. Cars/Trucks- Fun little toys that boys will enjoy are always a helpful way to keep the wild boys busy. Hair and Beauty– Little play makeup and hair ties will be a huge hit for the girly girls you babysit. Kids Games– Fun games to play while babysitting Cards and portable board games will be favorites for the older kids who have a competitive side. Books for YOU- You don’t know how long you are going to be at the family’s house, and once the kids are in bed you don’t have anything to do, a recommend bring a book so that you can still hear the kids but can keep you occupied as well. Crafts– Creative Hands Craft kits are the great tools for a babysitter to have on hand, especially the older kids who can get bored easily. All the animals in the zoo are jumping up and down for you! 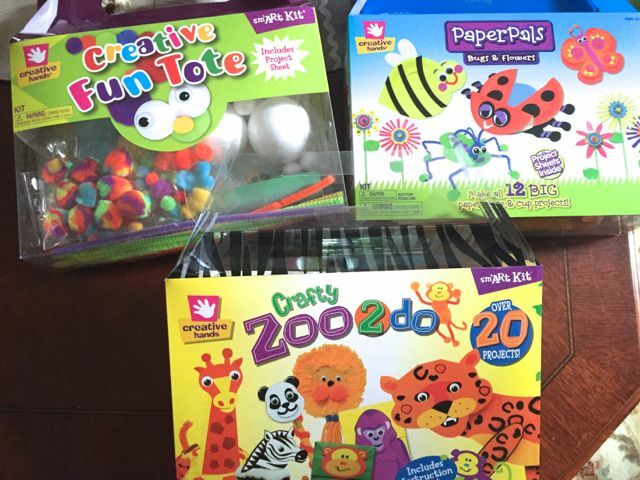 Available at retailers Fred Meyer, Meijer and Kroger, this Zoo 2 Do kit with the tote-able handle, features monkey, giraffe, lion, zebra and others for a total of 25 zoo-themed projects. Rainy days and Sundays are ideal for this overflowing box of craft pieces that can be transformed into animals, cupcakes, bugs, pencil toppers and whatever the imagination can conjure. This fun tote is available at Fred Meyer, Meijer and Kroger stores. Kids can follow the enclosed project sheet or personalize with their own wacky ideas. Paper Pals – a kit that starts with paper plates and paper cups! This tote-able kit makes 12 big projects. A project sheet is included to start kids off. What would you add to your Babysitting Bag? 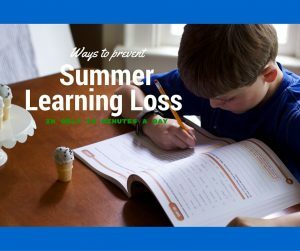 Hope that is helpful, I think kids need a little training from Moms as well as the classes they take! Coloring can be a nice, relaxing activity. When I need the little ones to calm down a bit we all color together. This is such a great idea! I remember bringing crafts to my babysitting jobs when I was a teenager! These are amazing tips. I will definitely pass these down to my friends. They sometimes tell me tgat they want to try new ideas ro retain the kids attention.